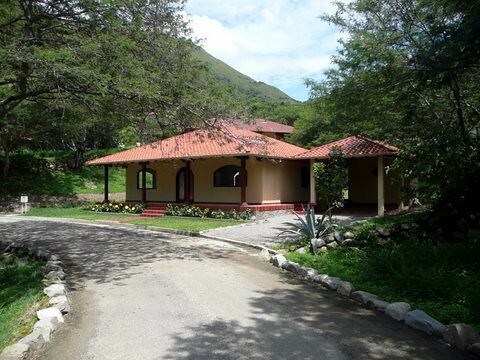 Joe Simonetta, a developer in Vilcabamba sent me details about this Vilcabamba house for sale. This lovely home, about 2,250 square feet (includes porch, carport and garden room), has two bedrooms, two baths, a large loft, living room, dining room, kitchen, pantry, laundry room, large front porch, beautiful detached carport and adjoining garden/tool room. It is finished beautifully with very attractive heavy wood columns on the porches, traditional-colored ceramic tile floors, rich granite counter tops, exposed beam/wood ceilings, custom-made solid wood arched windows and doors, modern bathrooms and kitchens (and appliances), custom cabinets, five skylights, and barrel tile roof. 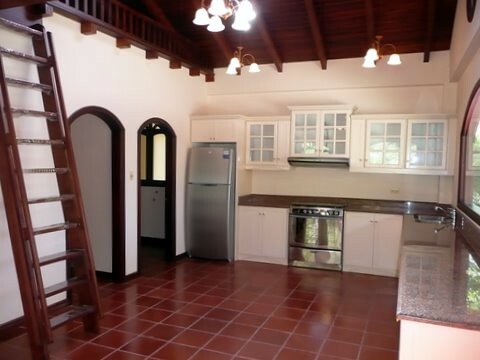 This solidly built home (concrete, steel, stucco, plaster, etc.) was made the way homes used to be made. Lot 6, is .38 acres, surrounded by hillsides and stone walls on three sides. The open side of Lot 6 is to the south. Behind the home are two terraces perfect for gardening or other uses. 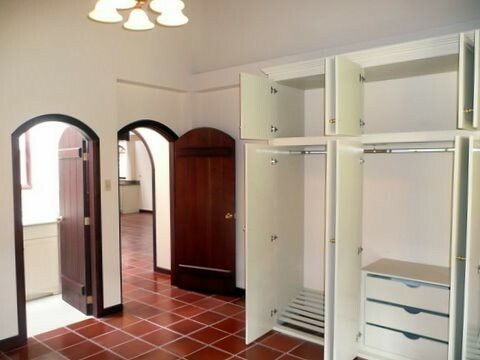 L6 has a very pleasant intimate and private feel to it. The price is $225,000. Most people feel it is underpriced.